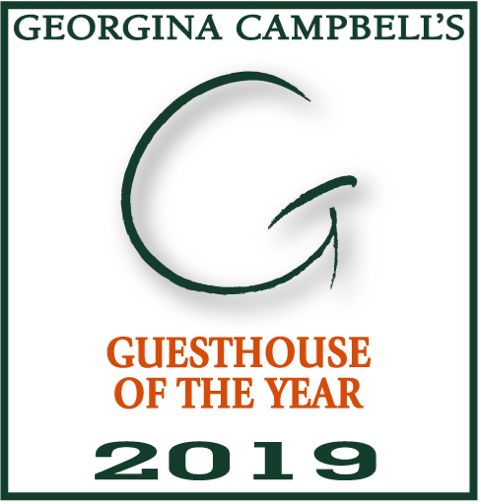 We are extremely happy to announce that we have been awarded the GEORGINA CAMPBELL IRELAND Guesthouse of The Year Award 2019. 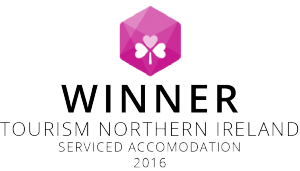 The Georgina Campbell Awards are the longest running Hospitality Awards in Ireland and are highly coveted throughout the industry, so it feels wonderful to be recognised. 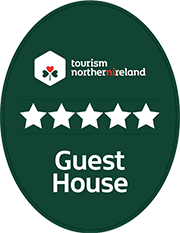 As the first Guesthouse from Northern Ireland to win this award in 9 years we are also excited to represent the growing excellence of Northern Ireland’s hospitality. Blackwell House is personally run by the owners, Joyce and Steve. This peaceful country haven has a sumptuous mixture of contemporary furnishings and handsome family antiques intermingling to create a striking interior with a comfortable homely feel, spend a few lazy hours in our cosy sitting room, sink into a comfy sofa with your favourite book, or pop a CD on and unwind in front of a log fire in the winter. Enjoy the peace and tranquility of our wonderful garden from a quiet spot in our Garden Room – wherever you are you will find the perfect place to relax and unwind in Blackwell House.